Terrorists, weather disasters and financial uncertainty have many people worried today. Here’s how you can live under the covering of God’s protection while avoiding the confusion of erroneous teachings. We live in a world that seems ready to burst under the rising pressures of natural and spiritual threats. Beyond the strains of terrorism and natural disasters, our age-old adversary is relentlessly leveraging his dark forces against us, knowing that his time is short (Revelation 12:12b). Make no mistake: In these last days, the enemy is targeting your family, your health and your spiritual life as never before. Despite the dangers, God’s people can live with an unshakable confidence in the safety of His protection. Psalm 91:4 reassures us, “He shall cover you with His feathers, and under His wings you shall take refuge…” And Deuteronomy 33:12 declares, “The beloved of the LORD shall dwell in safety by him; and the LORD shall cover him all the day long...” If we’ll connect with His covering, we’ll never have to fear the turmoil of our times. Unfortunately, making sense of the issue of spiritual covering isn’t easy. After studying the Scriptures on the subject, I spent some time searching the internet. My head is still spinning! Controversy and confusion have become attached to this issue like few things I’ve ever seen. I was left feeling a bit like Alice trying to make sense of Wonderland: Things just seem to be getting curiouser and curiouser. So what’s going on out there in the Christian world on this topic? Prepare to be disturbed, and perhaps a little embarrassed. The “Covering for Cash” Approach: There is a growing trend in many ministries toward paying for spiritual protection. One well-known ministry offers your choice of “three levels of covering” in exchange for monthly tithes and offerings. I can become a “spiritual son or daughter” if I just send in a check! The “He’s All I Need” Camp: Some decry “the myth of spiritual covering” as unbiblical. Citing examples of past abuses of authority, they contend there is no need for any additional protection if Christ is in your life. I’m hoping that means I won’t have to pay my health insurance premiums much longer. The “Keep the Women in Their Place” Club: A few seemed alarmed by an epidemic of error-prone women running around “uncovered.” I hadn’t noticed, but was relieved by how simple the solution was: wearing veils, keeping silent in church, and obeying one’s husband. Lord, help us. The “Safety in Numbers” Networks and Fellowships: Others seem sincere in their desire to bring leaders together for fellowship, mentoring and outreach. In essence, these ministries offer to be a relational safe harbor in stormy times. And judging by their number of people seeking covering through them, the need is felt by many. The muddled message out there seems to be, If you believe the right revelations, join the right group, and do the right things (especially with money), you’ll be spiritually covered. But is any of this Biblical? What does God think of the idea of spiritual covering? The moment we receive Christ, a canopy of protection is stretched out over our lives. We see this pictured in the Passover (Exodus 12:21-27). As the children of Israel prepared to flee Egypt, a spirit of death was released against the firstborn of the land. The only protection for Israel was the shed blood of a spotless lamb on the doorposts of their dwellings. With the blood in place, they were spared. Today, Christ is our Passover Lamb (see 1 Corinthians 5:7). His blood keeps us safe and secure. This is the glorious work of the cross in our lives, and the inheritance of every believer. We get another glimpse of the covering power of the blood in the amazing story of a harlot from Jericho (Joshua 2:6-25). Rahab knew it was inevitable that Israel would prevail against her own lost city. So with legendary faith, she requested and received protection during the invasion. The key to her protection was a red cord hanging from her window which speaks again of the blood of Christ. Though Jericho was destroyed, her family was spared through the provision of the crimson cord. But there’s a common thread of truth we cannot overlook in these examples of Christ’s provision: Spiritual protection for God’s people depends completely upon proper positioning. Even though the promise of safety was made, nobody was safe unless they were in place. Had the Israelites left their homes during Passover, or had Rahab been anywhere but behind the crimson cord, they would not have been covered. The same is true of Noah and his family during the flood. Position is important. The Psalmist wrote, “He that dwelleth in the secret place of the most High shall abide under the shadow of the Almighty” (Psalm 91:1).The best umbrella is useless in a rainstorm unless you are positioned under it. Today, it’s essential for us to know how and where to come under the full protection of Christ’s sacrifice. Our faith in Christ saves us, but our cooperation with His provision is the key to everything else. God is under no obligation to protect us when we resist His direction, but He will guard those who are surrendered and in place. My wife and I recently took a drive in a nice convertible. The top was down, the sun was shining and we were heading for the coast. As we stopped to get a couple of coffees to go, rain clouds gathered and it started to sprinkle. We were disappointed, but not concerned for our comfort because the car had a built in system to move the top into place. Prayer is a Covering System. We’re encouraged to use constant intercession with the shield of faith to quench the attacks of Satan (Ephesians 6:16, 18). There is nothing like a prayer shield to provide covering over the life of a believer. All of us should continually pray for each other, our nation and its leaders. Prayer activates the heavenly host (Psalm 34:7), erects a hedge of protection around us (Job 1:5, 9-11) and seals the gaps through which the enemy tries to gain access to our lives (Ezekiel 22:30). With the covering system of prayer in place, we can move forward in our lives without being continually knocked back by the enemy. Divinely Appointed Relationships are a Covering System. Isaiah prophesied of our day: “The Lord will create above every dwelling place of MountZion, and above her assemblies, a cloud and smoke by day and the shining of a flaming fire by night. For over all the glory there will be a covering…for shade in the daytime from the heat, for a place of refuge, and for a shelter from storm and rain.” (Isaiah 4:5-6). The covering over every home speaks of family relationships. The covering over every assembly speaks of the local church. 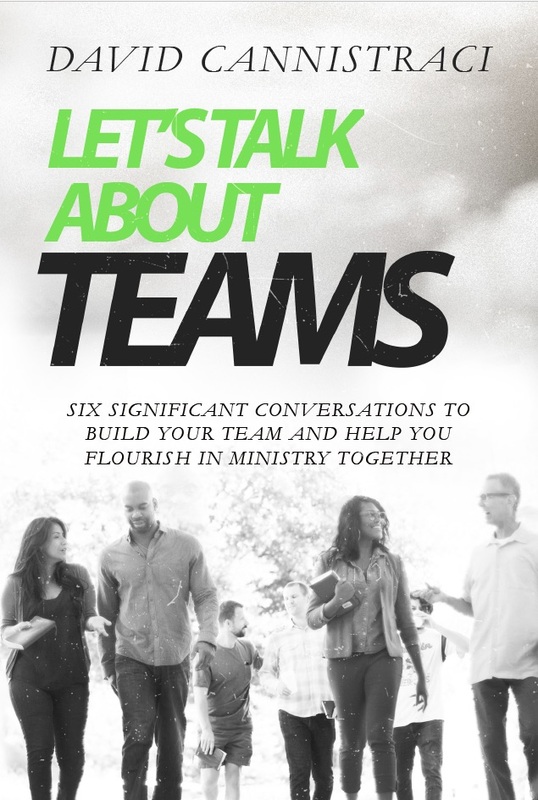 Don’t miss this: God’s covering is released to us when we are rightly connected in our families and churches. Those relationships are the joints that supply us (Ephesians 4:16). Right relationships have always been key to our safety (1 Corinthians 11:11-12, Ephesians 5:21-16, Hebrews 10:24-25, 13:17). Still, whenever the word covering comes up, a lot of us want to run and hide under a pew. We’ve seen the tragic abuses of authority and control that can surface when we fail to view of all this correctly. Let me offer some advice: Don’t allow anyone to control you or make you fearful by twisting Scriptures that relate to covering. Beware of top-heavy leadership structures that overemphasize tithing, authority and headship. Think twice when you hear legalistic messages about submission that rob you of your freedom in Christ. Be cautious when you see an overuse of titles and holy hierarchies that keep you dependent on spiritual “big shots.” Don’t play into the unhealthy control of those who desperately seek importance in your life. These imbalanced arrangements grieve the Holy Spirit and hurt people. For sure, abuses of authority, legalism and ignorance have attached themselves to the subject of covering. But does that mean we should banish it as revelation altogether? The accountability and care I’ve enjoyed by being a part of a believing family, a praying local church and a dedicated network of friends and ministries has been an indispensable part of my growth and success. So in my view, it’s far better to stay covered and connected, if we can keep it balanced. Allow the Lord to guide you into the blessing of divinely appointed relationships at home and in the local church. Whenever Satan seeks to divide, strive to stay united in love and order, knowing that Christ has shed His blood for us all. Position yourself to both offer and receive continual prayer. Let His precious blood anoint the doorposts of your life, and the crimson cords of His love protect you in the day of battle. There really is a safe place for each of us in God. The threats out there are real, but we should never be afraid. When we’re positioned in Him, and connected to His provision, the canopy of His protection rises high and strong over us. The next time you’re caught in a storm, or you sense the attack of the enemy, settle it in your heart that things will be okay. Just stay in faith and remember: God’s got you covered.